Tapioca Pudding or Nam Varn Sakoo is another Lao dessert that I like to eat. 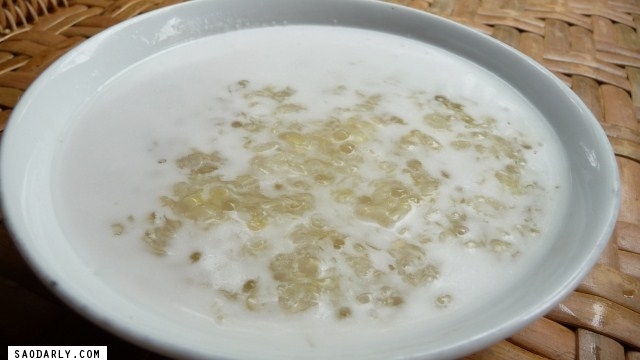 Narm Varn Lod Chong is at the top of my list of Lao dessert, but when there is no one to make it for me, then tapioca pudding is the next best thing. I like to add either banana or taro with the tapioca pearls for variety and taste. This dessert is easy to make and you can try Tapioca Pudding recipe by Chef Penn Hongthong. Tapioca pudding with corn is even yummier!! YUMMY! !